This playscript, based on Bram Stoker's classic novel, has been written especially for schools. The sinister figure of Dracula hangs over the characters who once defeated him - who will win second time around? Resources supporting the play provide information, illustrations and activities. This playscript, based on Bram Stoker's classic novel, has been written especially for schools. The sinister figure of Dracula hangs over the characters who once defeated him - who will win second time around? Resources supporting the play provide information, illustrations and activities.A man stumbles across the secret of Dracula and asks for his friends' help to defeat his evil powers - but not before he has killed... Year later, the friends gather to remember what happened - could history be repeating itself? 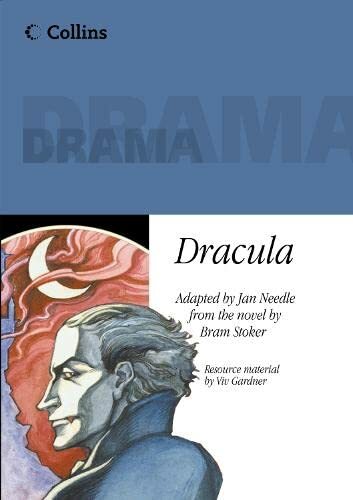 This imaginative and dark dramatisation of Bram Stoker's novel has been specially written for schools.The playscript is accompanied by resources covering the symbolism of the story, the life and times of Bram Stoker, and the theme of death. There are also numerous written, spoken and drama activities.